Social anxiety is self-consciousness on steroids, but you can get to the point where it doesn't own you. There’s no such thing as a fun office party or relaxed gathering in the world of social anxiety. For millions of Americans, being around people is agony — a performance to get through while others seemingly judge, mock and coolly pounce on every mistake. It's a serious problem: When researchers analyzed various types of anxiety, social anxiety had a "unique association" with alcoholism, predicting alcohol abuse over and beyond the effect of panic disorder, agoraphobia, generalized anxiety disorder and other problems, a new study in the journal Depression and Anxiety has found. About 12 percent of U.S. adults experience social anxiety at some point in their lives, the National Institute of Mental Health estimates. Ellen Hendriksen is one of them — with a twist. She’s also a clinical psychologist at Boston University’s Center for Anxiety and Related Disorders, helping patients overcome their fears. being very self-conscious and feeling embarrassed and awkward in front of other people. being extremely afraid others will judge you, find you boring or reject you. finding it scary to be with other people and having a hard time talking to them even though you wish you could. avoiding places where there are other people you'll have to meet and interact with. But underneath all that worry, people are actually equipped with everything they need to be comfortable with themselves and others, Hendriksen noted. You can get to the point where the fear does not own you. It’ll make you doubt yourself, conjure up the worst-case scenario and convince you it will definitely happen. But what it says is not true, Hendriksen said. 1. How bad would that really be? OK, someone may be bored for a moment or someone will look at you funny. It’s not the end of the world. 2. What are the odds? Pretty low. Do you really think people will mock you or laugh in your face? 3. How will I cope? You can smile, turn to a friend or start a new conversation. Life goes on. To lessen anxiety in social situations, people often stare at their phones, wear sunglasses to avoid making eye contact, hide in plain sight, say very little or leave the room. 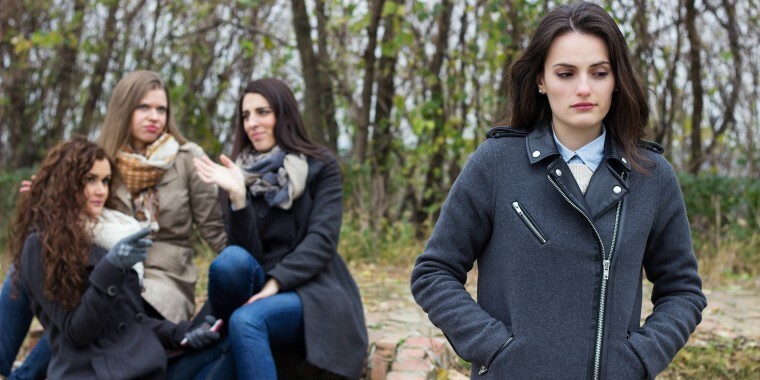 Ironically, such behaviors can come across as cold, distant or stuck-up — everything people with social anxiety are not. They’re just nervous. “We think those things are what kept us safe and kept us from being judged. But in fact, those are the very things that maintain the anxiety and keep it going for the next social interactions,” Hendriksen said. Next time, resist the temptation to take out the phone or flee the room. 'The Four Tendencies': Which personality type are you? When you face something you fear, like a social gathering, it’s all systems go, Hendriksen noted. Your heart races, your Inner Critic screams “You can’t do this!” and there’s a strong urge to leave. Keep trying and keep showing up, Hendriksen advised. It’s worth the investment of being willing to feel anxious for a little while in order to reap the benefits of feeling much less anxious over time. Feeling the pressure tell to say exactly the right thing and charm everybody is counterproductive because it can make a person freeze up and not say anything. Remember, blushing, making mistakes, being vulnerable and authentic shows you’re human and makes you more likable, she added. Embrace your racing heart and sweaty palms without judgment, Hendriksen said. A bit of self-compassion will help put some space between you and the anxious thoughts. When people are in the throes of social anxiety, it’s like being under a waterfall: Worries and fears pound down and churn all around. But being mindful puts you behind the waterfall: The worries are still there, but there is distance. You can observe them without having to take them that seriously. Patients often tell Hendriksen they want to be less anxious first so they can finally go out and do things they’ve been avoiding like traveling, seeing friends or dating. But that’s actually backwards. Doing those very things now builds confidence, leading to less anxiety down the road, she said. Put action first by creating a challenge list of things that scare you a little, like introducing yourself to someone you don’t know. Write down situations you typically avoid and then try them. Do the easiest things first, then work your way up to more challenging tasks. They become less scary as you go.